Photo by Robert McNair. Courtesy of the Kitchener-Waterloo Art Gallery. 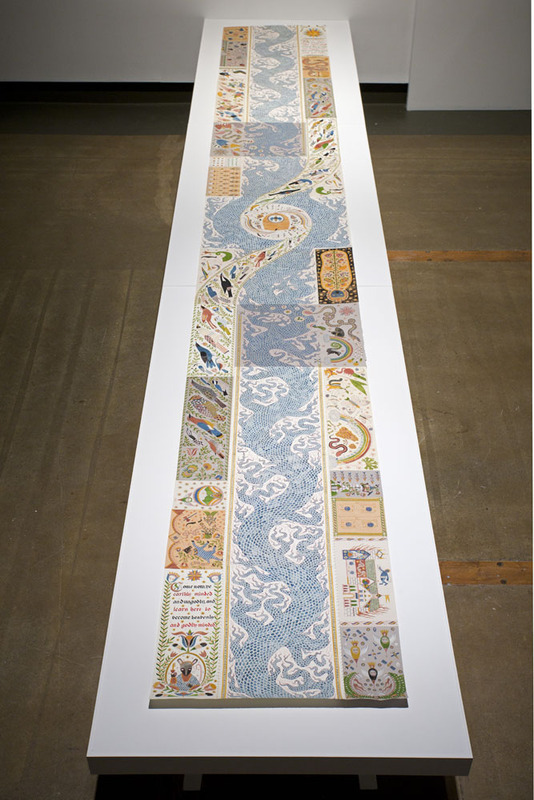 River Cycle is a 20 ft illuminated scroll composed of 34 individually illustrated panels sewn together to depict a reimagining of the Biblical flood myth as an epic cyclical narrative of creation and destruction of a civilization along an infinite river of time. 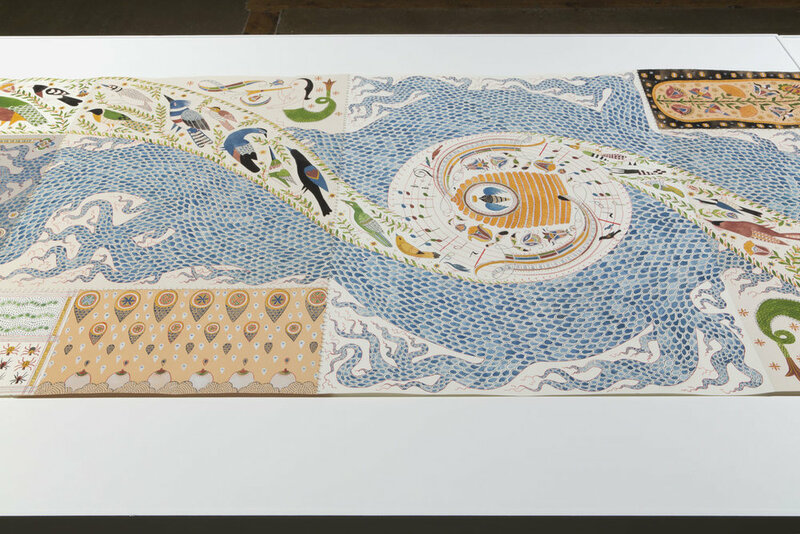 This project was completed at the Vermont Studio Centre and was funded by the Kitchener-Waterloo Art Gallery and the Ontario Arts Council.